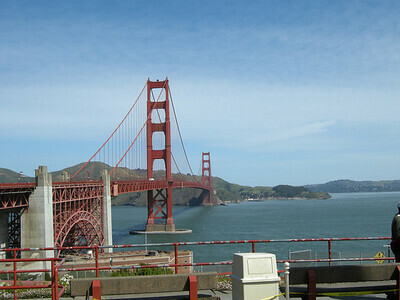 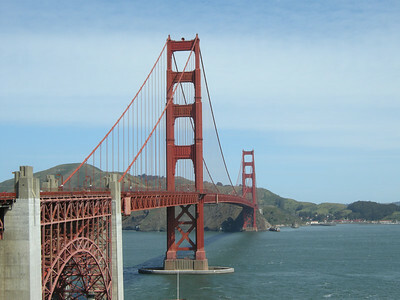 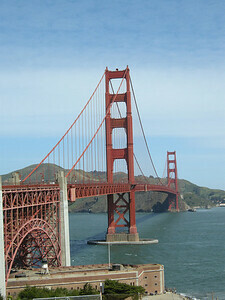 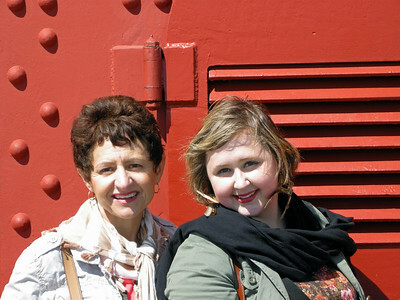 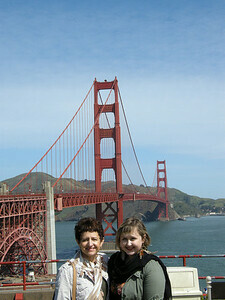 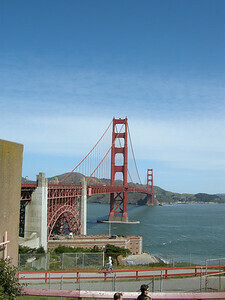 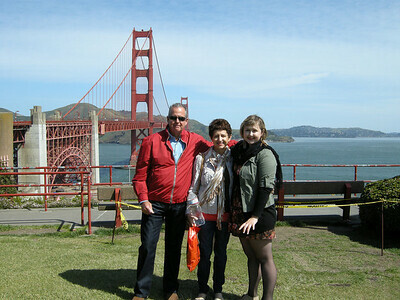 Beth and Christina on the Golden Gate bridge. 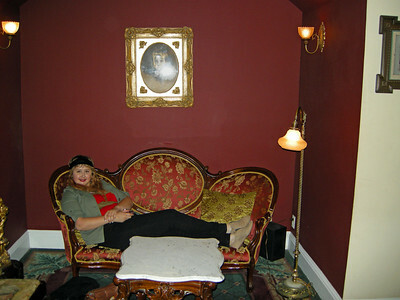 Christina relaxing at the Queen Anne hotel in San Francisco during our Victorian home walk tour. 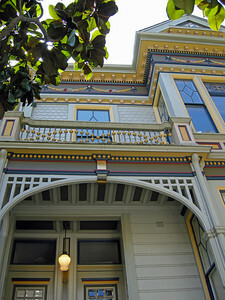 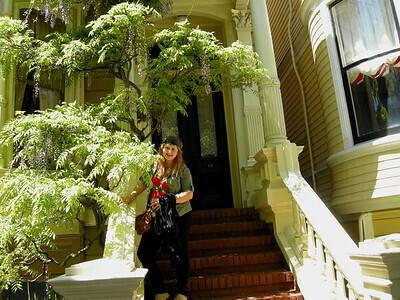 One of the many amazing Victorian homes we saw on our tour in San Francisco. 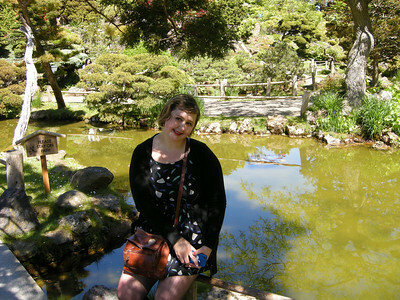 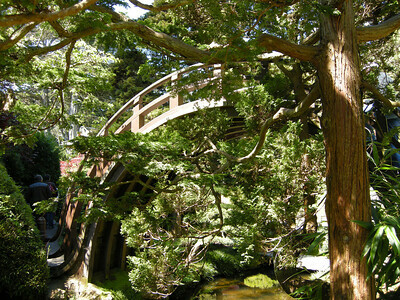 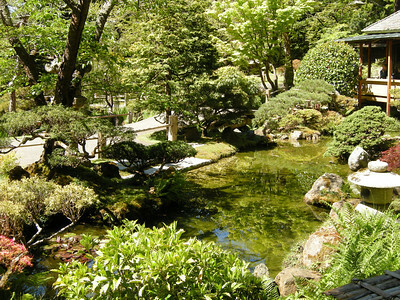 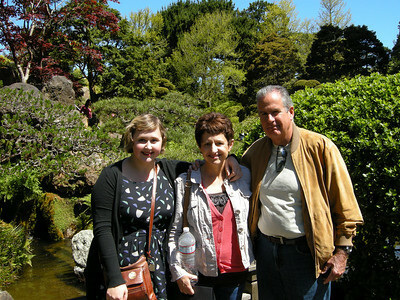 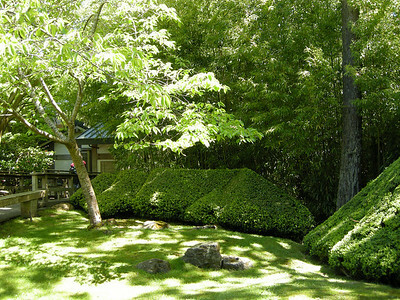 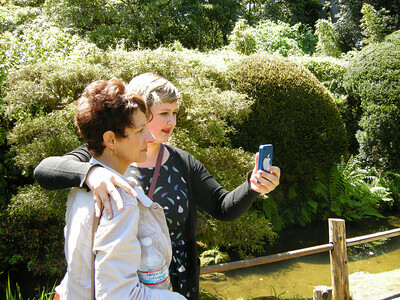 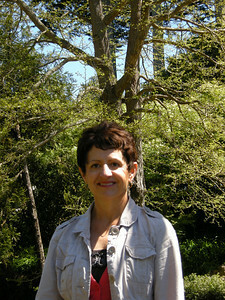 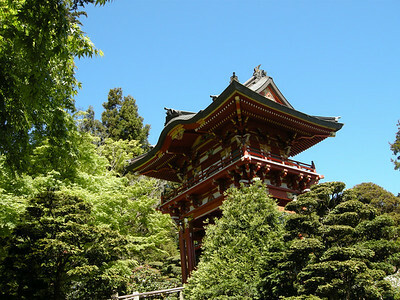 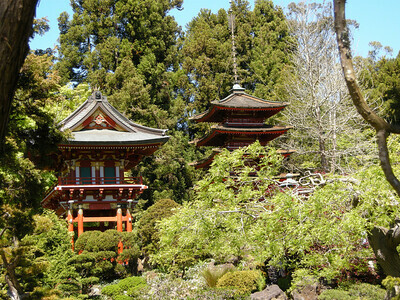 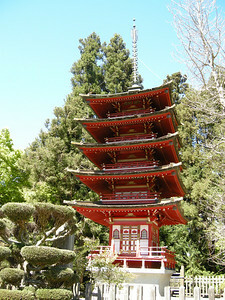 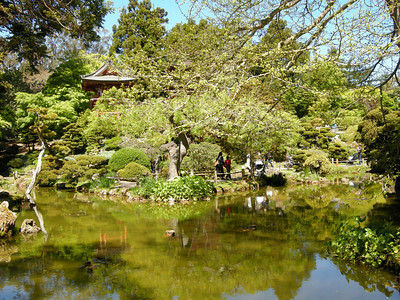 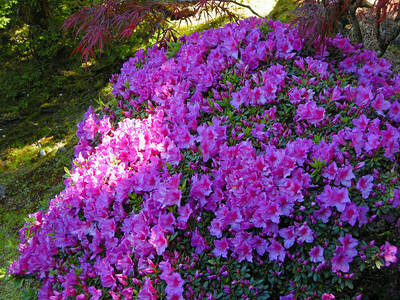 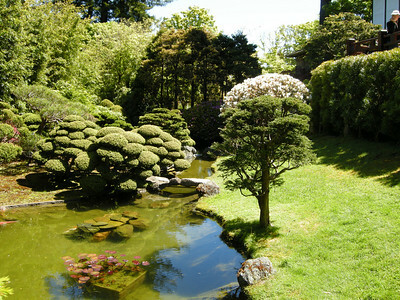 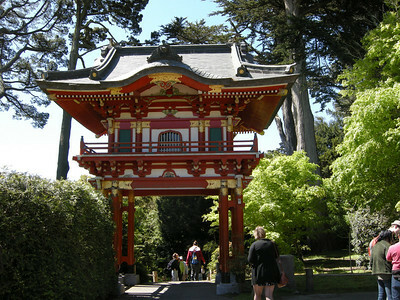 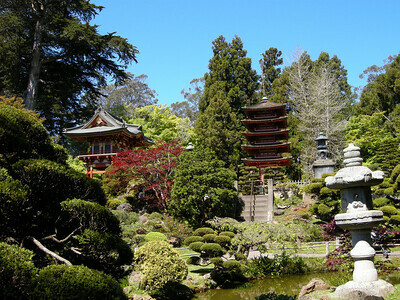 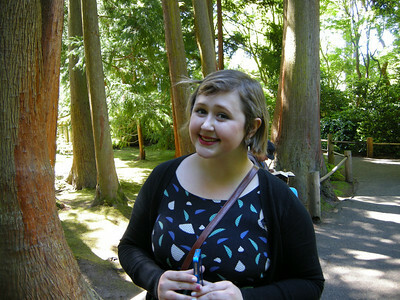 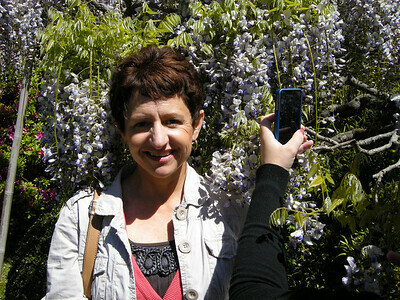 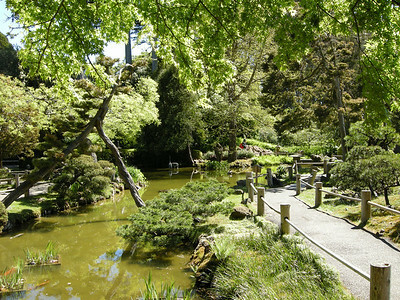 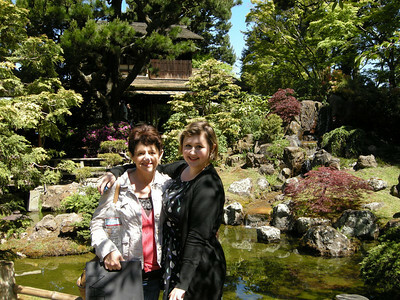 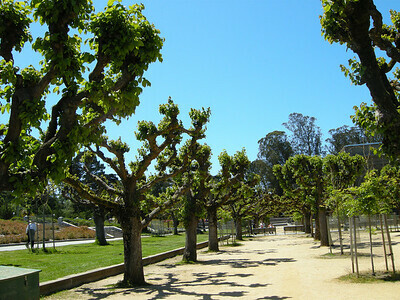 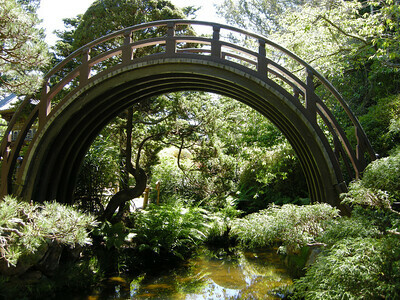 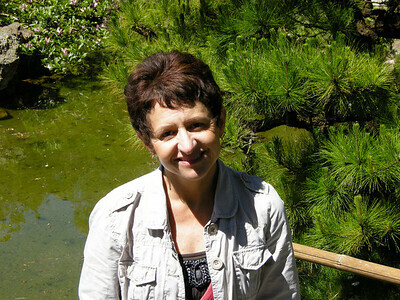 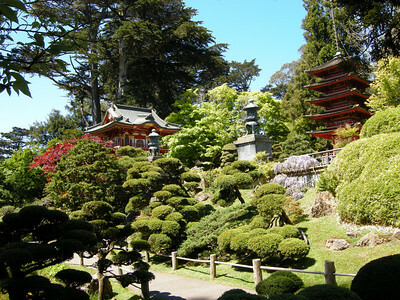 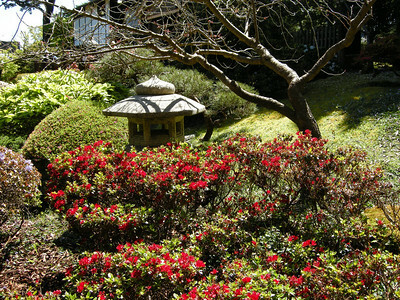 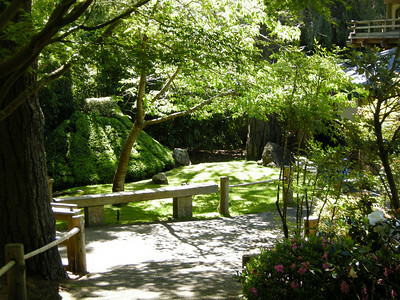 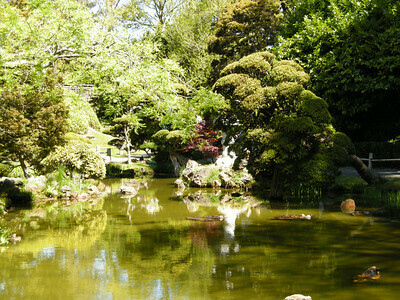 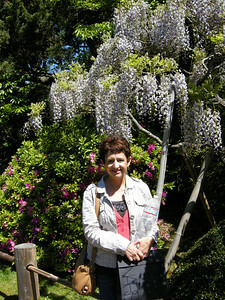 Start of our walk through the Japanese Tea Garden in Golden Gate Park. 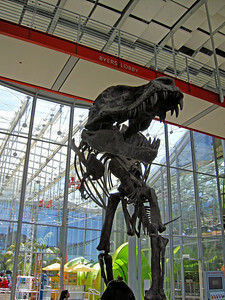 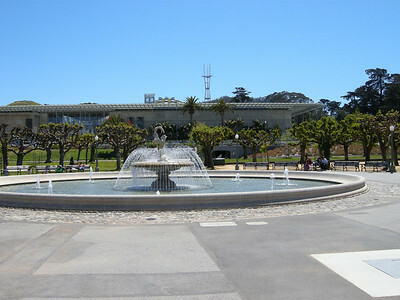 T-Rex "Greeter" at the Academy of Sciences museum at Golden Gate Park. 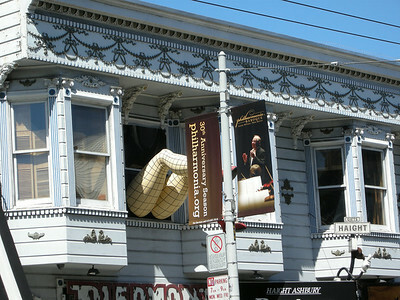 The rooms are very tiny at this hotel!